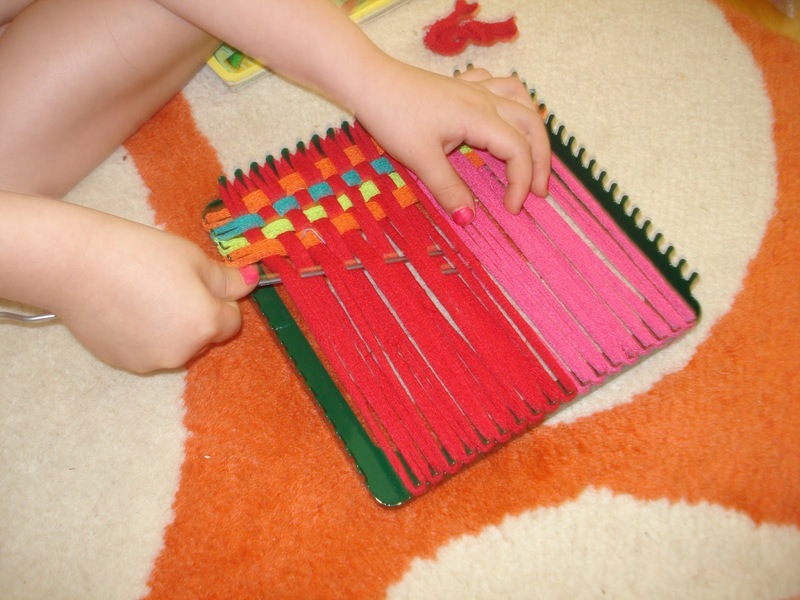 We bought a Weaving toy for the girls. It says ages 6+ but Hayli could do it. Kairi (4) didn't have the patience to try. 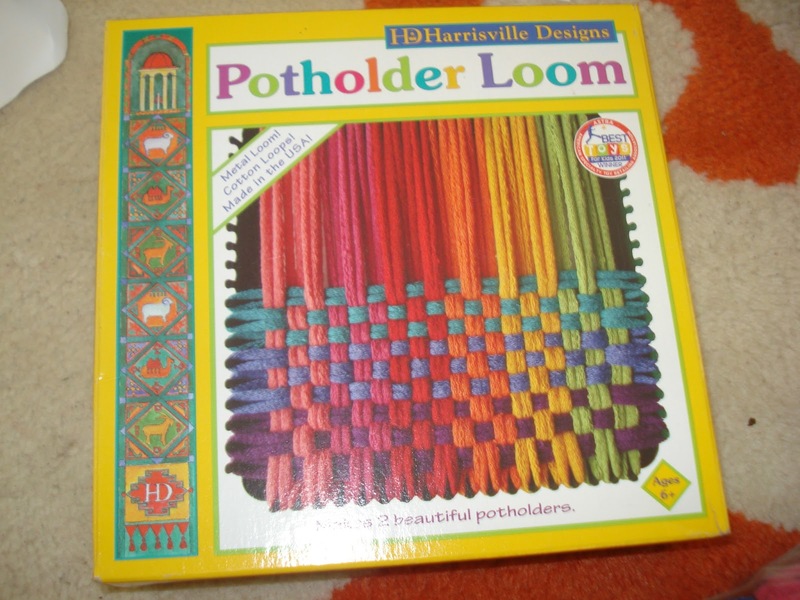 I had one of these weaving kits when I was a kid and I just love it. The one I had was plastic and I didn't have one of the metal hooks to make it easier. The plastic one that I had the grooves on the side broke off. I definitely recommend the metal one though. I even had to "try" a few loops. 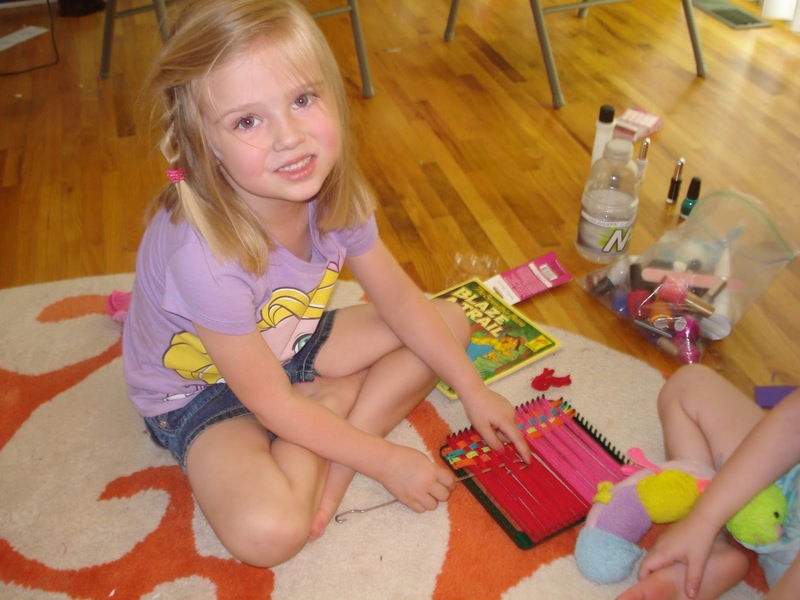 In about a week, she is almost finished with her first potholder. I'm so proud of her. She's had so much patience with it. 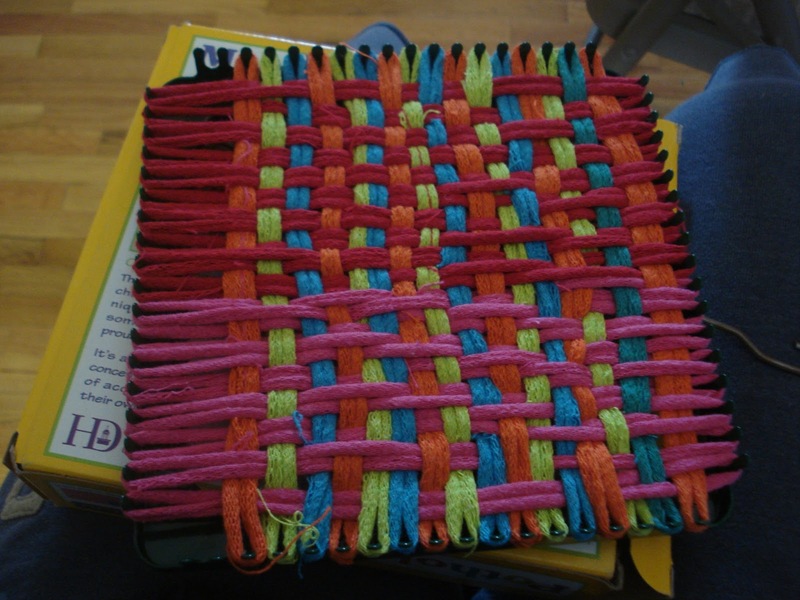 Its not perfect but I know that beautiful first potholder will get used. This is not an endorsed or sponsored review, All opinions are my own.